God seemed distant yet ever-present to me in the natural world. I believed God was real but at the same time, my understanding of Him was abstract and impersonal. As God began to make Himself known to me, I discovered how God made Himself known in a very personal way to all humanity. 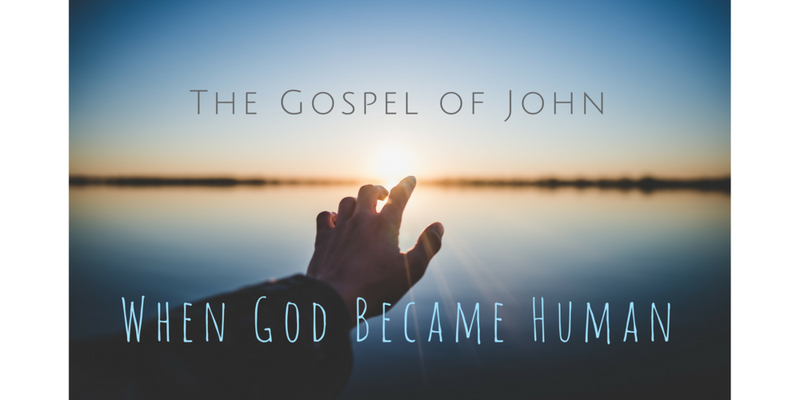 The opening verses of John Chapter 1 were key to my gaining this insight and continue to be a powerful statement of how God made Himself known. In the beginning the Word already existed...was with God, and the Word was God. What are four specific things we are told about the Word at first? How is the Word described? What are other specific things expressed about the Word? Which statements make it clear that the Word is God the Creator? What is the connection between the Word and light and life? The Word is Jesus, the only Son of God—the Creator, Sustainer, and Redeemer of humanity. He is eternal and the origin and source of life and light for all humanity. The apostle John intentionally started his gospel account with the same words as the beginning of the Bible (Gen 1:1). In the original language—koine Greek—the word logos is translated as, the Word. The way it is expressed grammatically makes it clear that it speaks of a person, not just an impersonal word. The meaning of Logos on its own is the embodiment of a thought. All thoughts are unknown until they are expressed with intelligible words. And so, God became known when He took on human form in the person of His Son, Jesus Christ (John 1:14). When we entrust our life to Him, as I did many years ago, Jesus brings light into our darkness. Just as the darkness cannot overcome or extinguish Him as the Light of the world (John 8:12), we are not overcome by darkness because of our personal trust in Him. Have you had your own personal encounter with God? Has He made Himself known to you? Do you understand how these few verses make clear that Jesus—the Word—is God? How is this an encouragement or help to you today? In what way is it relatable to everyday life and your relationship with others? Has God made Himself known to you? If so, how has He done this? Reflect on this in prayer and let it move you to worship the Lord throughout the day.